You are currently browsing the tag archive for the ‘The View’ tag. As a former Senior Executive Producer of a past CBS News morning show incarnation, I write this headline with a more generous heart than may appear; I always root for news shows to thrive and hope headlines like this just might help trigger a surge of competitive juice that pumps ferociously to prove the observer wrong. 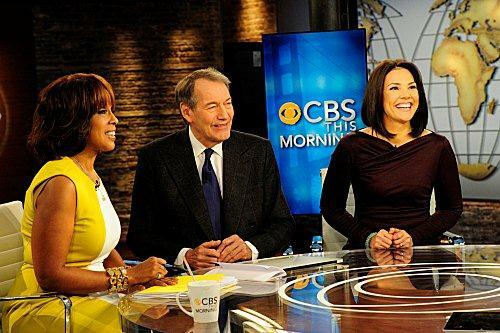 The new morning team at CBS News.